Project Management Office, often referred to by its abbreviation PMO, is an organizational unit which appears in a growing number of companies in Poland. Every company conducting a dozen simultaneous projects begins to identify the need to have a central unit which would help educate people, standardize processes and templates, and focus all the attention on the best possible implementation of the most important initiatives at the organization. Apart from employees, who without a doubt constitute the most significant part of the Project Management Office, an important role is assigned to the equipment base as it allows to conduct inspections, store project documents, and create schedules and plans. The spectrum of instruments designed for application in project activities is very extensive, from complex and multifunctional all-in-one instruments to simple and free programs. The choice of appropriate software or software set depends entirely on the office needs, the scope of its responsibilities and, of course, individual preferences of its employees. Many companies do not realize, however, that Jira (which they use for production tasks management, error reporting and fixing processes, or another purpose) is also an ideal tool for PMO. Jira is most commonly known as a “bugtracker”, i.e. an instrument used for reporting errors in software. It was, in fact, its primary functionality for many years and thanks to it Jira was implemented in numerous companies. However, over the years, new functions were being added to it, which, in turn, made Jira evolve into a multifunctional and flexible tool capable of fulfilling the requirements of programming teams, IT, or business needs related to HR, sales and purchasing divisions, or PMO. Products which belong to the Atlassian family currently include a dozen of items almost all of which allow for the installation of extensions manufactured by third parties. As a result, we get a wide plethora of functionalities with nearly unlimited choice options. A few years ago, we noticed that available programs and add-ons are mature enough to be implemented in the area of project management. This is when we began an information campaign among our customers, which was aimed at expanding the knowledge of the possibilities of PMO application in Atlassian environment. Not surprisingly, the campaign enjoyed considerable interest. Jira has a lot of benefits in this respect. The advantages of using it for PMO concern primarily the knowledge of the instrument, which entails a lower cognitive barrier, apart from the license model and using already acquired software for a new purpose. Sure, saving time and money are important aspects, but what about functionality? Is a “bugtracker” an adequate primary tool for PMO? The answer to such questions is usually “it depends”. We are aware of the fact that every organization is different and has its individual needs. This is why, in order to get to know them, we engage in discussions and analyses. 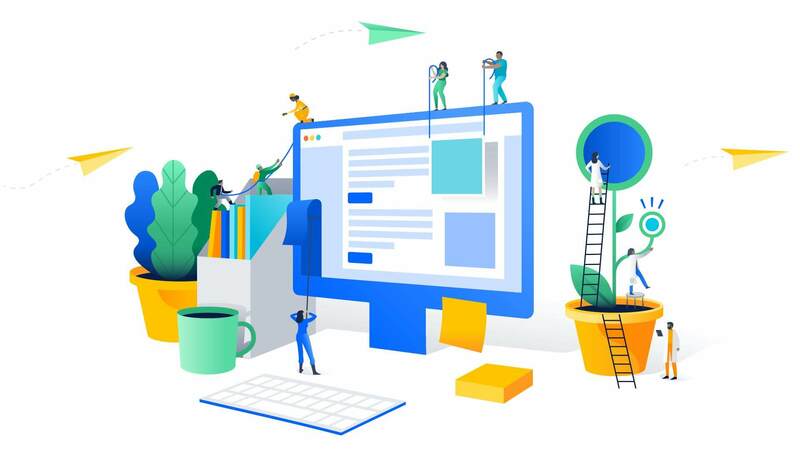 Jira by Atlassian – software that ensures process, automation, possibility to register task, assignation of responsible persons, and registration of working time. BigPicture by Softwareplant – Jira add-on which provides the design layer, Gantt chart, task management in agile environment and SAFe (Scaled Agile Framework), resource management, and project risks management. 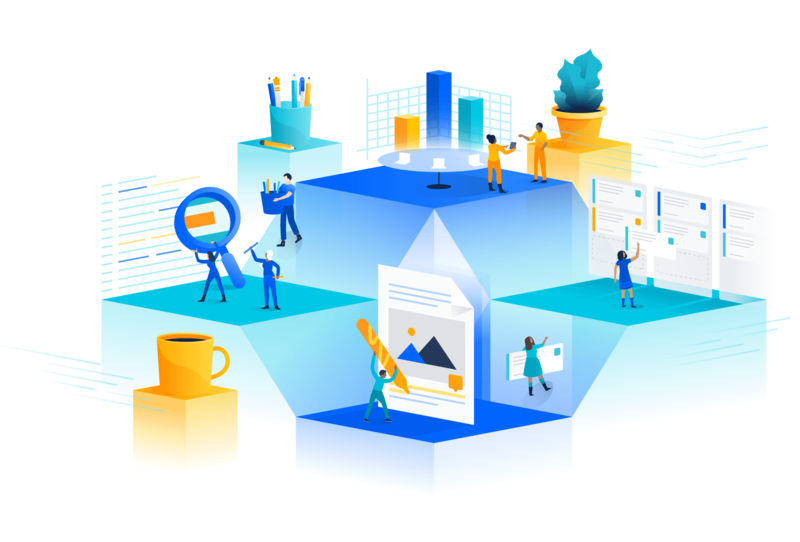 Confluence by Atlassian – data repository, creation of project documentation, meeting notes, specifications, and requirement sets. Online collaboration among the team members. This usually entails the need to buy the BigPicture license, as many companies are already using Jira and Confluence for units other than PMO. During introductory sessions, we have been repeatedly asked about a popular Jira add-on from the project management area, Portfolio for Jira by Atlassian, so at this point it is also worth drawing attention to the fact that while some time over a year ago it was still possible to invest in Portfolio for Jira (due to its functionality and popularity), nowadays we confidently recommend BigPicture to all our customers due to its superior graphic visualization, more intuitive user interface, and increased functionality. Additional significant advantage of BigPicture is the fact that it is produced by a Polish company with which we maintain permanent contact and we can always count on fast support in emergency situations. Its most important merit, however, is its development dynamics and paying attention to the needs and requests of its users. When observing the development of both add-ons in the recent years, it is clear that BigPicture is definitely leading the way. Nonetheless, Portfolio for Jira still does stand a chance in this contest. It still possesses quite a unique functionality which allows for semi-automatic (with prior manual configuration) task scheduling, and their assignation to employees and releases. There are companies which value this functionality and opt for the Atlassian add-on. I do suspect, however, that in a year or so even this functionality will not be a differentiating factor for Portfolio for Jira. Implementation of new solutions in an organization is never an easy task. According to the great majority, best things are the reliable ones we already know and every new idea, even if it has already pushed through the selection process and has been accepted for implementation, must still cover a long way before it can be proclaimed a true success. Our task is to help conduct the implementation painlessly and with that in mind, we have developed a plan that we successfully rely on when collaborating with our customers. Very important, if not the most important, part of the entire undertaking. The workshop has a form of direct conversations with those who will eventually be users and beneficiaries of the instrument. The requirements of that first group are very important for the appropriate configuration of the software and by adding the requirements of the latter one we are able to design such a solution concept which will make it possible to implement the required processes and report expected data. There is a reason why this workshop is also called a training workshop. It encompasses training in the area of the proposed programs, which considerably facilitates communication. It is much easier to talk about solutions when everyone in the room has an in-depth knowledge of the subject matter and can visualize it. On the basis of agreements reached during the workshop, system installation and configuration are performed. Those activities are sometimes performed by the customer’s employees, which is particularly important in the situations when the end administrator will be someone from inside the company and this is why he/she must have complete knowledge regarding the implementation. In other situations, we perform the activities by ourselves and give the result with complete documentation to the client. We believe that a crucial aspect of an implementation is to begin using the new software as soon as possible, which why the moment the agreements are put into effect, we encourage our clients to configure their first projects under the supervision of our experienced employees. 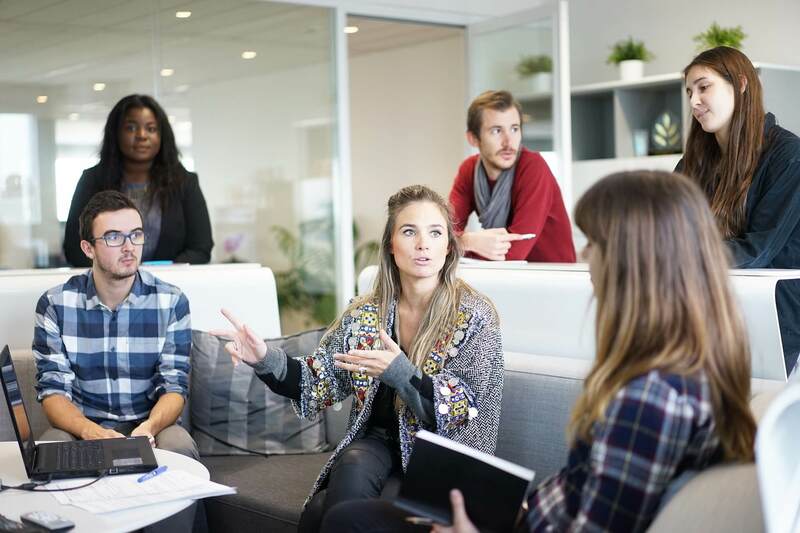 The possibility of asking questions on an ongoing basis makes the integration go smooth and the knowledge gained during workshops and training sessions is quickly backed up by practice. This is the moment we begin the remote collaboration with the client and, in the determined time range, offer support for the employees who use new tools and processes. The scope of such support depends on the size of the implementation but it most usually oscillates around 5 working days to be used during 3 weeks from the production implementation. After the initial three weeks, the knowledge of the system starts to stabilize and support becomes less and less necessary, which is why we decrease its scope. Most commonly it is 5 working days to be used during 3 weeks from the termination of the short-term support. Thanks to such approach, we provide comprehensive supervision over the implementation, from the beginning to the end. The client is never left alone with the problem and can always count on our assistance, whereas we draw satisfaction from a job well done and another successful implementation. 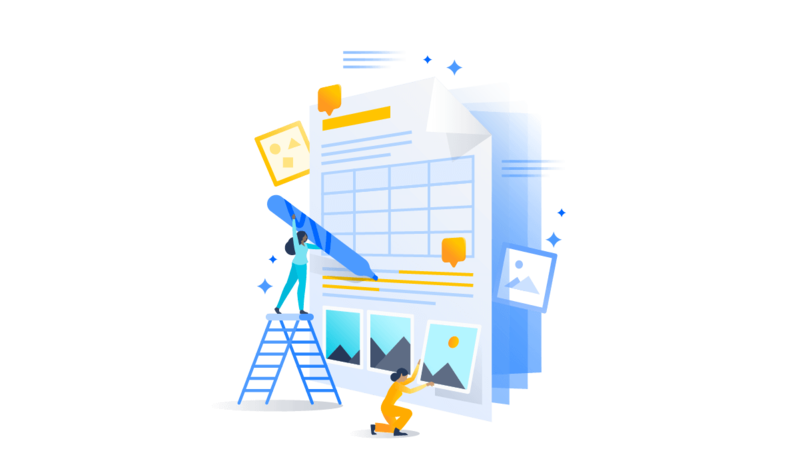 Atlassian tools environment (principally Jira, Confluence and BigPicture) can be used as a comprehensive toolset for PMO at an organization. We know that not all the changes are good and not all of them area easy, but we also know that it is always a good idea to take a look at new possibilities and consider their strengths and weaknesses, which we strongly encourage. Visit our website TTPSC Atlassian!